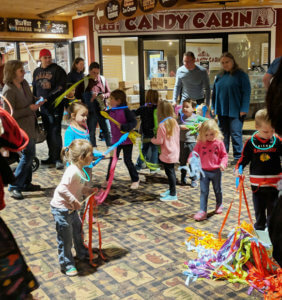 We are so excited to announce that our WildKids Club has added family yoga and weekend dance parties to its activities schedule. If your family is full of early risers, head to the Wild WaterDome on Saturday mornings at 8 am for family yoga. The classes last approximately 30 minutes and include a variety of stretches and poses to help increase flexibility, muscle strength and tone. We supply the yoga mats so all your family needs to do is show up in comfy workout clothes. It’s the perfect way to start your morning. Namaste.